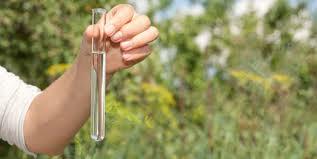 The Calvert County Health Department Division of Environmental Health will begin conducting wet season percolation testing on January 7, 2019. Testing will continue to be conducted as long as weather permits. Testing of lots is conducted on a first-come, first-serve basis. We will begin testing those lots for which applications have been previously submitted. We will continue to accept applications throughout the year, however, we will discontinue testing when weather conditions no longer permit. Therefore, it is imperative that applicants submit their applications as soon as possible to ensure that testing can be conducted during this year’s wet season. Application submittals after February 15, 2019 may not be tested this year. All lots must be staked by a licensed surveyor prior to testing. If this office calls to schedule testing and the lot is not staked or a contractor designated, the applicant will have one week to ensure those items are completed otherwise the application will be reorganized to the end of the queue. It is recommended that all applications be submitted as soon as possible to ensure your property is properly evaluated. Please contact our office with any questions or for assistance. Your contractor of record will be contacted directly to schedule testing by our staff, unless directed otherwise on the application. The percolation test is designed to determine the soil suitability of a site for a subsurface private sewage disposal system (i.e. septic system). More specifically, a percolation test measures the ability of the soil to absorb liquid. Septic system designers use the results of percolation tests to properly construct septic systems. The uniform slowest rate of drop of the water level over a measured time interval is converted to minutes per inch and used as a basis of design in determining the septic system size. Soil conditions are one of the criteria used for determining the suitability of a site for construction. Critical area designations, slopes, zoning restrictions and other conditions are also factored into the approval process for a construction permit. If you have any questions please call Environmental Health at 410-535-3922.